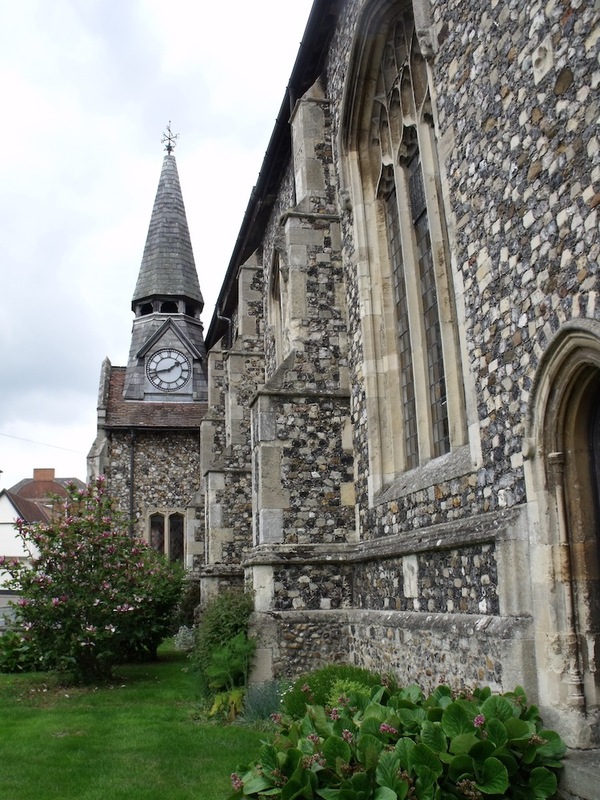 The original church was built along the line of the high street and is one of the most interesting in Suffolk. 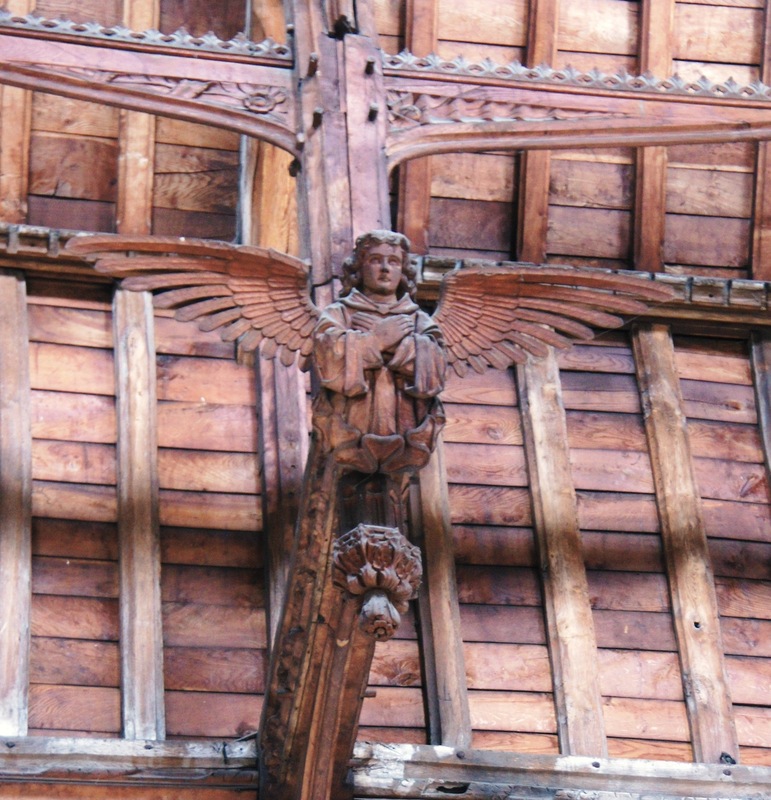 It also houses one of England’s greatest medieval treasures in the form of a spectacular angel roof. 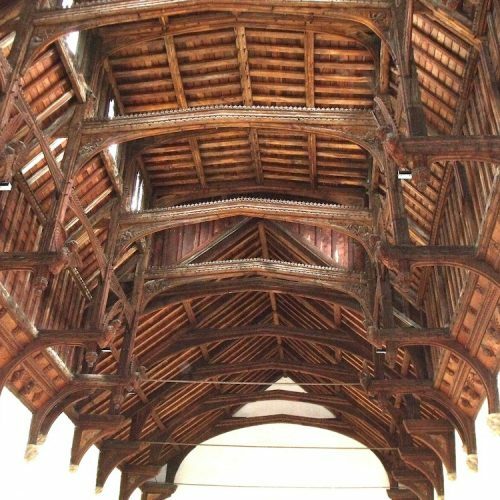 The famous 15th century roof is very, very special – a triumph of medieval engineering at a time when no metal fixings were used – only tongued joints and wooden pegs. Accolades have come from Pevsner, Munro Cautley and Simon Jenkins, no less. 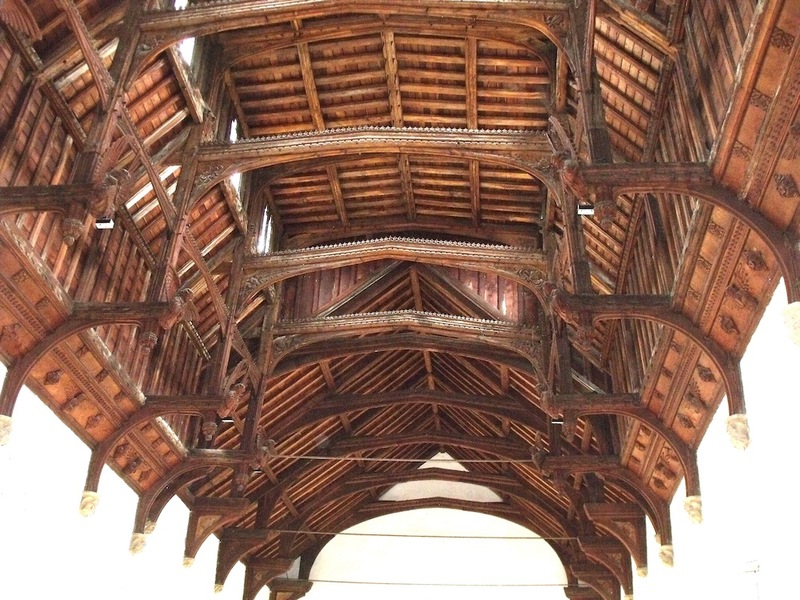 Widely regarded as one of England’s finest hammerbeam roofs. 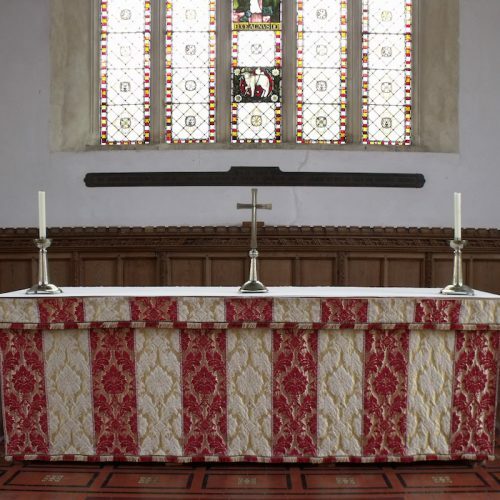 St John’s started life as a chapel of ease, making it ‘easier’ for residents to attend services rather than trekking the mile or so to neighbouring Barking. 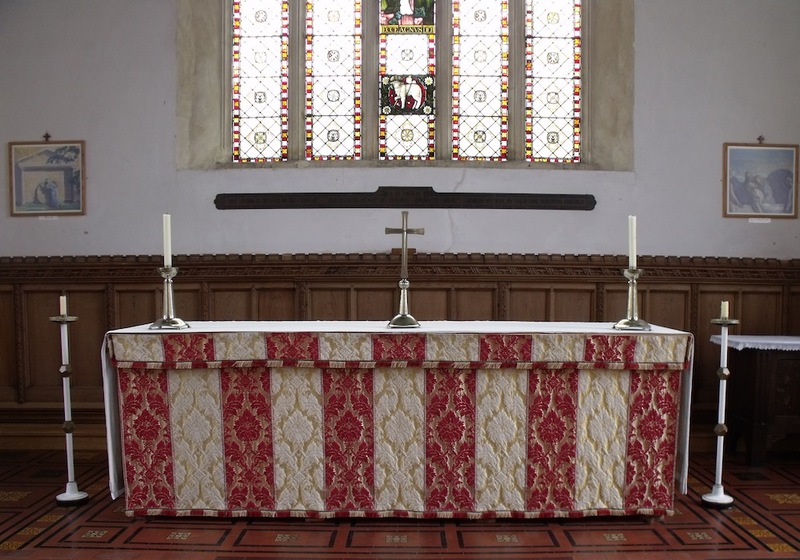 It dates at least as far back as 1277 and may have been a place of prayer for pilgrims en route to the shrine of Edmund at Bury St Edmunds. 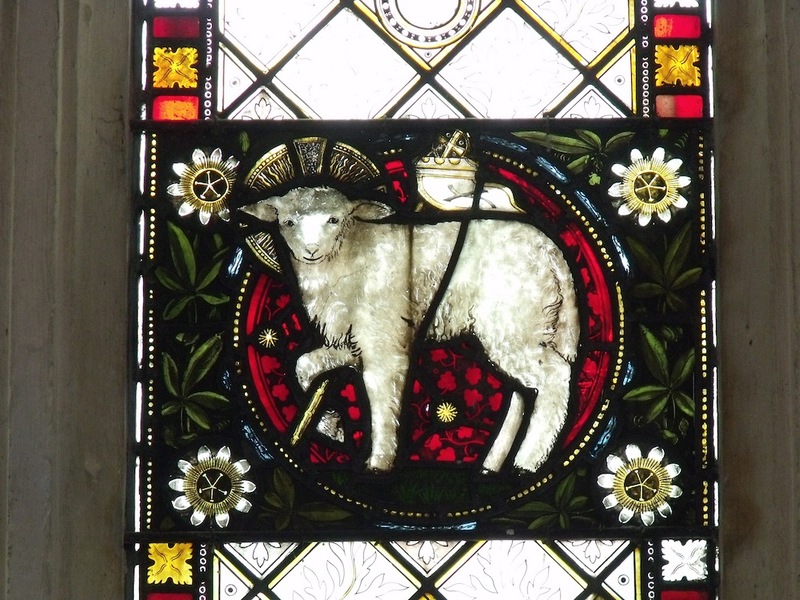 Look for the Coat of Arms on the narrow priest’s door facing the High Street. 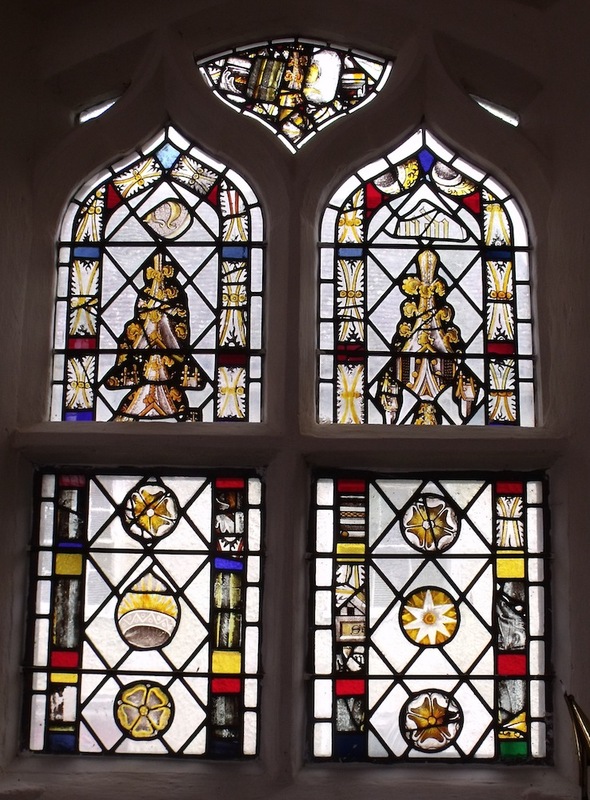 They are for the Bishop of Ely who paid for the rebuilding from 1458 to 1500. 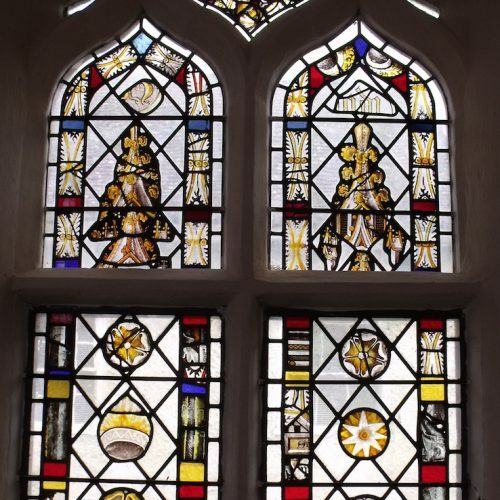 Bequests included three from wealthy local women. 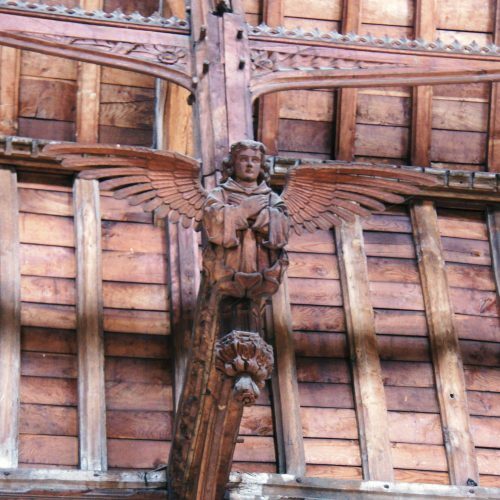 Get the guidebook on sale in the church for a compelling and remarkable story, including the gem that the roof was once concealed, then revealed by the Victorians who meticulously restored every detail. The ‘pierced’ buttress at one corner apparently for the beating of the bounds to take place on consecrated ground. At just 14 inches wide, it must have been a tight fit for some! All this history and magnificent workmanship comes at a cost. The race is on to raise over £200,000 to repair the damage to the roof caused by wet rot and deathwatch beetle. 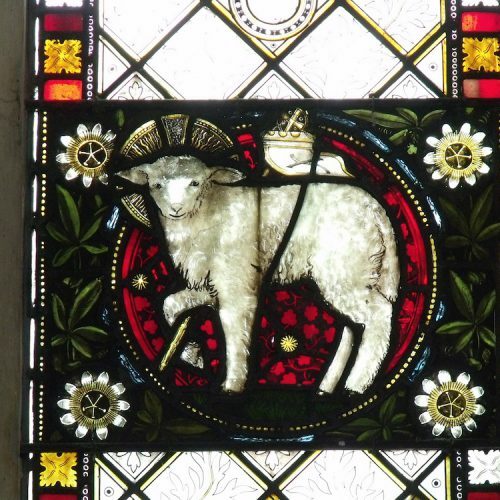 Find out more about the Medieval Masterpiece campaign that has been taken up by the East Anglian Daily Times and ITV Anglia. Read reviews of the famous roof on Trip Advisor. The roof appeal is not the complete story of what happens at this church which is increasingly becoming a real hub of the local community as you can see from the church’s own website. 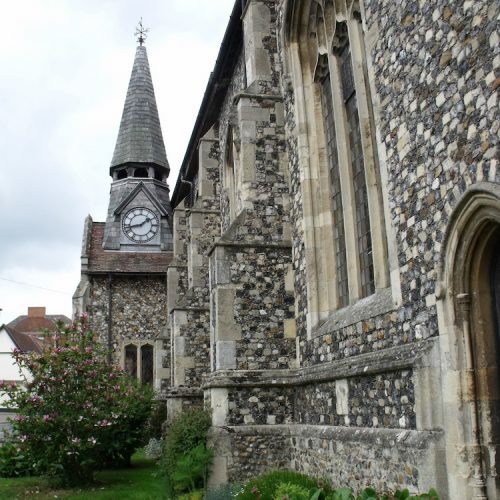 The ancient town of Needham Market is worth exploring for its many buildings of historic interest. You are never short of good venues to eat and drink in this town. In the High Street, try the Angel Coffee Shop. Knapps Bistro is also worth a visit. Not far away is the Barn Café at Alder Carr Farm with its award-winning ice-cream for sale.